He also demonstrates that current discussions about economic issues -- downsizing, globalization, and financial regulation -- were shaped by the ideological conflicts of the late eighteenth and early nineteenth centuries. Paine and Condorcet believed that republicanism combined with universal pensions, grants to support education, and other social programs could alleviate poverty. In tracing the inspiration for their beliefs, Stedman Jones locates an unlikely source-Adam Smith. Paine and Condorcet believed that Smith's vision of a dynamic commercial society laid the groundwork for creating economic security and a more equal society. But these early visions of social democracy were deemed too threatening to a Europe still reeling from the traumatic aftermath of the French Revolution and increasingly anxious about a changing global economy. Paine and Condorcet were demonized by Christian and conservative thinkers such as Burke and Malthus, who used Smith's ideas to support a harsher vision of society based on individualism and laissez-faire economics. Meanwhile, as the nineteenth century wore on, thinkers on the left developed more firmly anticapitalist views and criticized Paine and Condorcet for being too "bourgeois" in their thinking. 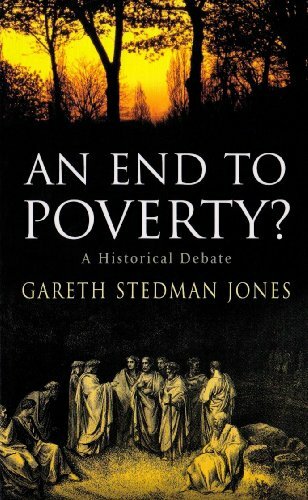 Stedman Jones however, argues that contemporary social democracy should take up the mantle of these earlier thinkers, and he suggests that the elimination of poverty need not be a utopian dream but may once again be profitably made the subject of practical, political, and social-policy debates. Gareth Stedman Jones is professor of political science at Cambridge University, a fellow of King's College, and director of the Centre for History and Economics. His works include Outcast London(1971), Languages of Class(1983), and Charles Fourier, The Theory of the Four Movements(1996).